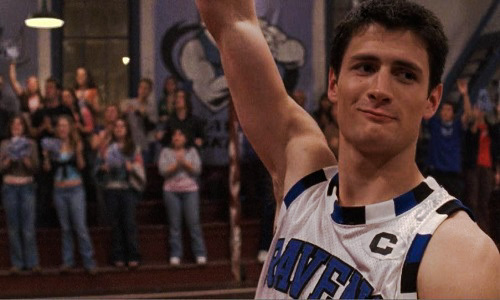 Dominant Extroverted Sensing [Se]: Nathan is a natural athlete and the star of the Tree Hill High basketball team. One of the first things we see Nathan doing is stealing a school bus for a joyride with his teammates. He’s impulsive and lives in the now. Nathan often makes choices that he later regrets because he lacks the foresight to think about how his actions will impact him later. When he’s depressed about Haley leaving, he visits some relatives and drives race cars for fun. When the race is over, Nathan continues driving, going faster than he’s supposed to and crashes the car. During the school shooting, Nathan realizes that Haley is still in the building and goes in after her. When Lucas asks him if he has a plan, he simply says, “Yeah, I’m going to the tutor center and I’m gonna get Haley.” Lucas criticizes him for going up against a gun with a baseball bat, but Nathan doesn’t care. On the day of his wedding, Nathan and Haley are nearly in a collision with Cooper and Rachel. The limo they’re in goes off the bridge and into the water and, without hesitation, Nathan jumps in after them, saving both of their lives. 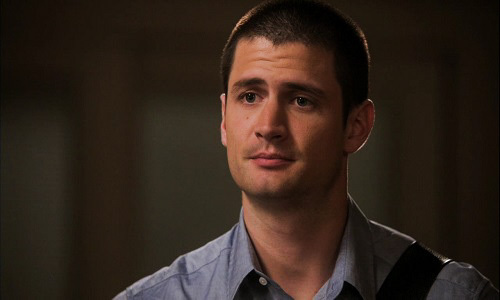 While Nathan and Haley are having money problems, Nathan turns to a loan shark named Daunte, who is willing to give him money if Nathan agrees to shave points, which Nathan initially does. When he’s asked to throw the State Championship, he agrees, but in the moment, changes his mind and the Ravens win the game. Nathan fails to consider how Daunte might retaliate afterward. Daunte tries to hit Nathan with his car, but Haley sees and pushes him out of the way, and she gets hit instead. Nathan runs to the car, pulls Daunte out, and brutally beats him. While at a bar celebrating Nathan’s new shoe deal, fans of a rival team begin taunting him. He almost walks away, but when they bring Haley into it, he defends her honor and gets into a fight, which leads to Nathan getting thrown through a glass window, temporarily disabling him and effectively ruining his basketball career. When Jamie is missing, Nathan jumps in front of a police car to get them to stop and help, nearly getting himself killed. He sees opportunities and acts. If someone he loves is threatened, he reacts, usually without giving himself time to think. Auxiliary Introverted Thinking [Ti]: If something makes sense to Nathan, he does it. Nathan perceives Lucas to be a threat and comes up with what he judges to be the best way to keep him from taking his life. Nathan gets to the point and expresses himself clearly and concisely. He does whatever he believes to be the best course of action. Nathan often thinks that he knows the best way to handle something, and can become stubborn once he reaches his own logical judgment about a situation, shutting out the thoughts and opinions of the people close to him. Tertiary Extroverted Feeling [Fe]: When he was younger, Nathan used his Fe to get under people’s skin. He knows how to play on feelings to get a rise out of people (particularly Lucas). Nathan is charming and can get people to like him if he wants them to. When he first pursues Haley, he does it to upset Lucas, and he gets her to play right into his hands. He can be sweet, complimentary, and thoughtful when he wants to be. As he grows, Nathan begins to use this function in healthier ways. He becomes selfless, putting others and their welfare before himself. 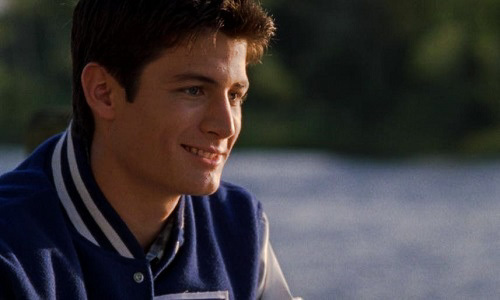 He also gets better at expressing his feelings, especially as his relationship with Haley progresses and he falls in love for the first time. His Fe develops even further when he becomes a father. He wants to help the people he cares about and becomes a shoulder for the people in his life to lean on. He is supportive, generous, and takes care of his loved ones. 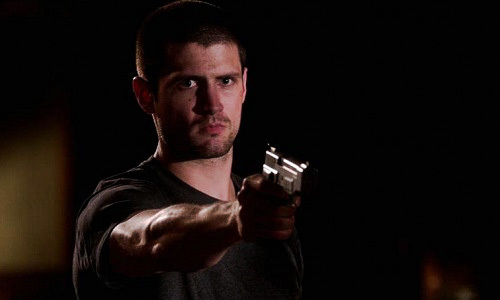 Nathan is fiercely protective and will spring into action if someone hurts his friends or family (Se-Fe). Inferior Introverted Intuition [Ni]: Nathan knows that he wants to someday join the NBA and he works towards this goal throughout high school and college until he makes it a reality. However, due to his often reckless behavior, he has major setbacks because he fails to consider his long-term objective when he acts on his impulses. He sees a future for himself and Haley and he looks forward to spending the rest of his life with her. At times, Nathan can lose sight of his vision for his future and get sidetracked, but once he regains his motivation, he works tirelessly to make his dreams come true. Nathan: You have one chance, one life, and what you do with it is up to you. Cop 1: What the hell are you doing? Nathan: My son is missing. Cop 1: Right, calm down. You could’ve got yourself killed! Nathan: We just left the wedding okay, all the guests are gone and my son missing. He’s four and a half years old. Cop 2: Have you been drinking sir? Maybe been to the reception? Nathan: No you listen to me! My name is Nathan Scott okay? My father is Dan Scott, he was arrested for murder, okay? He’s a bad guy and he was here today. Now either one of you two idiots gets on your radio right now and finds my son or I’ll knock you both out and I’ll do it myself! Chris: Ah! Stop hitting me! Nathan: Stop kissing my wife! Nathan: You know what? Tragedies happen. What are you gonna do? Give up? Quit? No. I realize now that when your heart breaks, you gotta fight like hell to make sure you’re still alive. Because you are. And that pain you feel? That’s life. The confusion and fear, that’s there to remind you that somewhere out there is something better. And that something is worth fighting for. Brooke: Hi, Nate. Come in. It’s a tough day, huh? Brooke: I wish there was something I could do for you or Haley or Jamie. Nathan: Well, actually we were wondering if there’s anything we could do for you. Brooke: How do you mean? Why me? Nathan: We know that your mom has been pulling some stuff with the company, and I don’t know, I guess having dealt with parent insanity I wanted to check your head. See how you’re doing. Nathan: That sounds like something I would say. Look, this thing with losing Quentin, it-it’s hard. And I have a feeling its gonna be a pretty prominent thing in our lives for a while, but that doesn’t mean that your problems are any less important, that all of us aren’t here for you. Nathan: You’re fine. You can handle it. Its all good. Look, I hope that’s true and maybe it is but the thing is, the two of us have been down very similar roads. We were in the same cliques first, we both felt the same pressures, the same expectations. Our parents were like children and we both grew into kind of bad versions of ourselves way too fast. So I think you know I get it. Brooke: They never really gave us a chance did they? Our parents? Nathan: They didn’t know how. Look, the thing is, you made your dream happen, alright? And even though I didn’t quite get there, when it was taken away from me I dealt with it alone. That was stupid, selfish, and wrong. So if your mom tries to take your dream away from you and you feel the same pain I did, I’ve sorta been there, okay? And I’m gonna be kind of pissed off if you don’t come talk to me about it. Anyway, thank you for coming today. It means a lot. I know you didn’t know Quentin, but it doesn’t surprise me that you’re thinking of other people when all this stuff is going on with you. That’s not bad for a girl who never had a chance. Come here. Haley: I need to know that you’re going to let me in, Nathan. I mean, all the way. Nathan: I will, okay. I’ll – I’ll let you in if that’s what it takes, I’ll let you in. It’s just… sometimes I’m afraid that if I do, you’ll see the real me. The guy I was before you. And I’m not proud of that person, okay; the one that I used to be. But if I have to be that guy to keep you safe, then that’s who I’m going to be. Look, if you want me to apologize for defending you, or for fighting back when somebody hurts you, then I can’t do that – I won’t do that, okay because the truth is: that’s a guy I’ll never be; a guy that just stands by and watches while the world hurts you. Can you understand that? Nathan: It’s the oldest story inn the world. One day you’re planning for someday. And then quietly and without you ever really noticing someday is today and then someday is yesterday and this is your life. Nathan: Every choice you make shapes your future. Nathan: People just go through things, challenges that make them stronger. 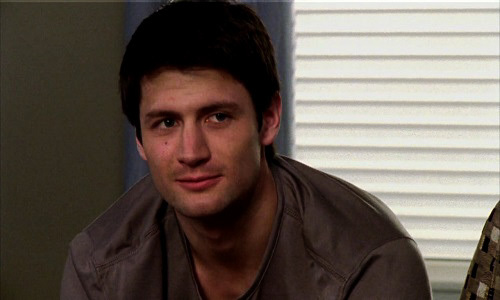 Nathan: I am the kid, Hales and I’m sick of dealing with my parents’ problems. If it’s not my dad with a restraining order, it’s my mom with a glock. They’re unbelievable. My one saving grace. My one way out is if I play halfway decent in these playoffs, I can get a scholarship and I can get the hell away from both of these lunatics. Should my mom have a gun? No! But am I going to let her stupidity or anything else stand in the way of my dreams? Not a chance.